The roots of a tree provide it with stability, connection, and life. A person’s roots act in a very similar way – giving us history, community, and purpose. I like to think of these roots as the people, places, and experiences that help to shape who we are – our personalities, identities, values, traditions, and culture. Sometimes, it can be difficult to remember and appreciate where we come from because we live in a very future oriented society, and we’re always thinking of the next thing. 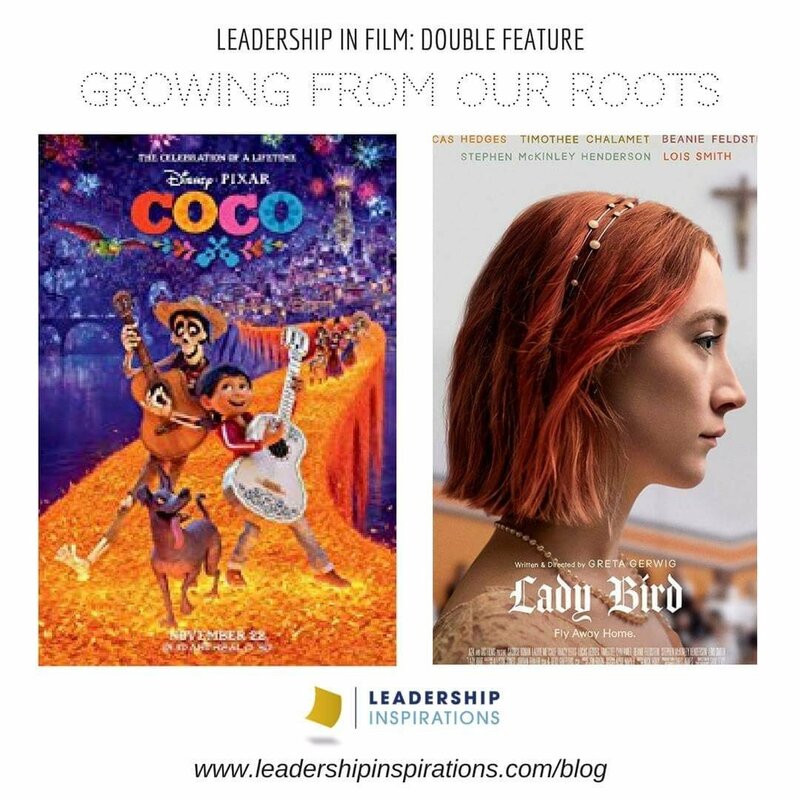 Luckily, there are two movies out in theaters that do an incredible job of encouraging us to learn about and connect meaningfully with our roots. 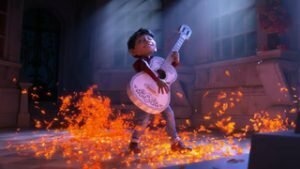 Disney Pixar’s latest film, Coco, has gained national acclaim for it’s moving celebration of Mexican culture. Long ago, the patriarch of the Rivera family abandoned his wife and child to pursue fame and fortune. Because of his betrayal, they now refuse to honor his memory on the Day of the Dead, removing his portrait from their ofrenda. The movie follows young Miguel Rivera, who has an insatiable love for music even though his family has banned it from their home for generations. He feels like a part of himself is missing because of his family’s fear and hurt. After taking the guitar of the late musician Ernesto de la Cruz, whom he believes to be his long lost great great grandfather, Miguel ends up cursed to the Land of the Dead. In order to return to the Land of the Living, Miguel must receive his family’s blessing. When his skeleton ancestors agree, but on the condition that he abandon his musical dreams, he decides that he needs a musician’s blessing and sets off on an adventure to find his great great grandfather. He knows in his heart that music isn’t evil and will do whatever it takes to fight for it. 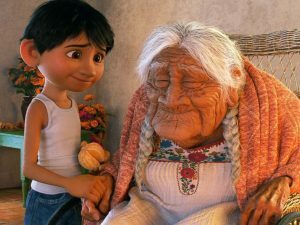 One of the most poignant moments in the film is when Miguel returns home and plays a song for his ailing great grandmother Coco, a song that she remembers fondly as one her long lost father used to sing to her as a child. Miguel’s dedication brings his family, both the living and the dead, together through the celebration of music. 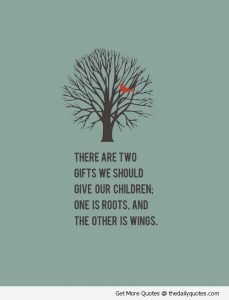 When I saw Coco, I couldn’t help but think of a quote that says, “There are two gifts we should give our children. One is roots. And the other is wings.” This next movie illustrates how these two things inevitably go hand in hand. In the coming of age drama Lady Bird, the relationship between mother and daughter is tested through the turbulence of adolescence. 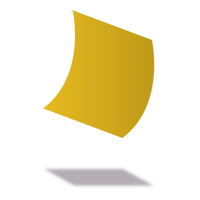 Lady Bird, played by Saoirse Ronan, is a strong-willed teen with dreams of escaping her hometown of Sacramento, California. She aspires to bigger and better things – like living in the nice houses on “the other side of the tracks” or going to college out-of-state in New York City. 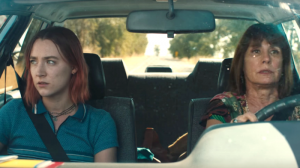 However, Lady Bird’s stubborn rejection of her circumstances (including her given name, Catherine) causes tension with her mother who is working double shifts to support her family and uphold their way of life. We will all experience times in our life where we feel unsatisfied, disinterested, or unfulfilled in our present. So, Lady Bird spreads her wings and takes off for college in New York City. Sometimes all it takes is new perspective to appreciate our experiences and not take them for granted. Eventually, Lady Bird realizes how much she loves and misses the people and places that raised her and just wants to fly home. In the last scene, outside of a church in NYC, she calls home to apologize to her family and say thank you. This moment reminds us that it’s important to have dreams and to follow them, but not to forget where you come from in the process. Connecting with our roots can help us to understand the world in a new way, much like Ladybird’s new perspective about her childhood, or to enact positive change, like Miguel bringing music back into his family’s life. After watching these films, I really wanted to apply the lessons I learned from their influential characters. I decided that the next time I saw my Oma, I would ask her about one of the traditions I grew up with including the mysterious card game, Schandarr, that we always play together. She told me all about how she would play it every night with her brothers and sisters when she lived in Germany. What really surprised me was that Schandarr was invented by my family and has been passed on from generation to generation. Now, I can’t wait to show my family someday! My challenge to you is to dig a little deeper into your own life and you might discover something new and exciting! You may want to explore the roots of your family, like the origin of your last name or unique family traditions. Or, you might want to explore roots that you might not feel as connected to personally, like the history of your hometown or the values of the company that you work for. People plant roots everywhere they go, it’s up to us to learn about and connect with those roots! Where does your name come from? Your nickname? What are the traditions that you uphold? When did these start? What are the values that you share with the people that you surround yourself with? 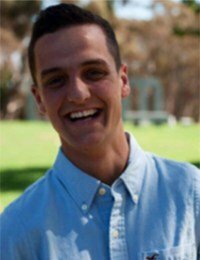 Why are those important to you and those relationships? What are the founding principles and vision of your employer? How does they affect the work you do? What is the mission statement of your school? How did this come to be?